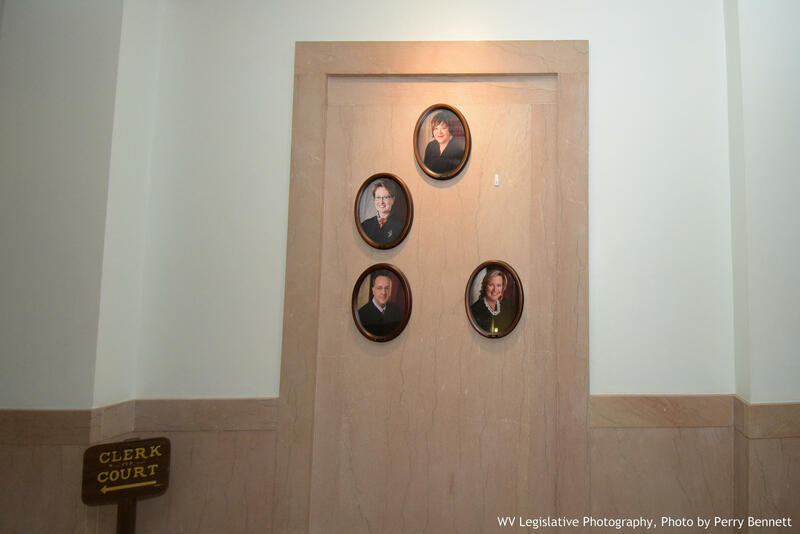 The West Virginia Senate has begun its part in the impeachment of West Virginia Supreme Court justices. The chamber gaveled in Monday and adopted rules of procedure that will dictate the Court of Impeachment. The rules of the Court of Impeachment were adopted through Senate Resolution 203, which spells out the duties of the Senate and its staff, the calling of witnesses, the evidentiary discovery process and other procedural issues. 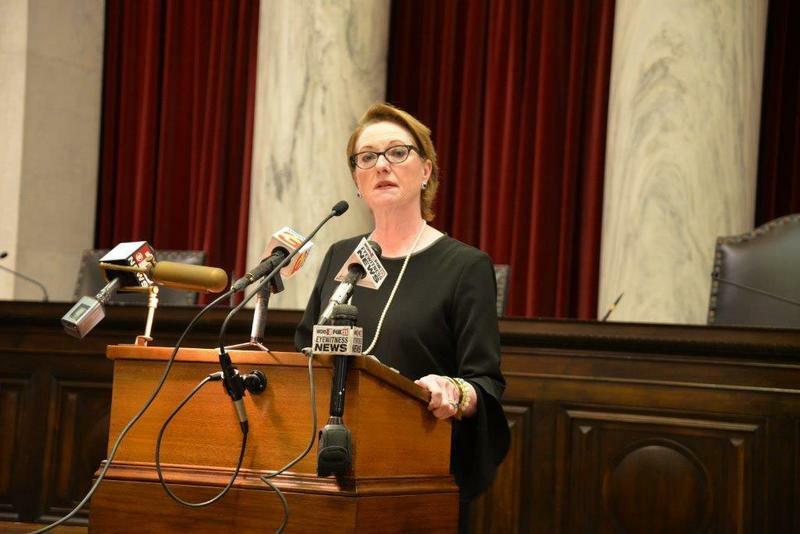 Chief Justice Margaret Workman, justices Beth Walker and Robin Davis and suspended Justice Allen were named together and separately throughout 11 articles of impeachment adopted by the House of Delegates on Monday, Aug. 13. The charges in the articles range from a failure to provide administrative oversight, the overpayment of senior status judges, lavish spending on court office renovations and using state resources for private gain. Justice Davis announced her retirement a day after being named in four of the articles. Senators will act as jurors in the Court of Impeachment with a two-thirds vote -- or 23 of 34 votes -- necessary for a conviction and removal from office. Republicans hold 22 seats in the upper chamber. Senators debated amendments to the rules for more than an hour before adopting SR 203 on a voice vote. 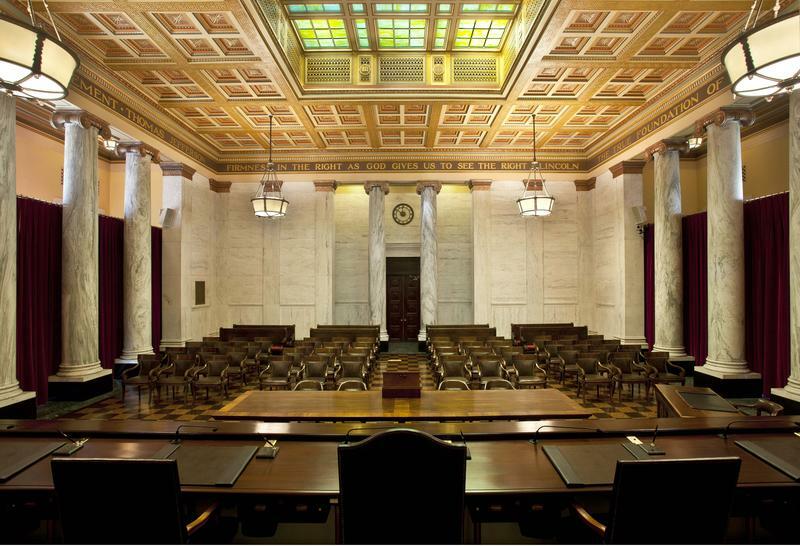 Sen. Stephen Baldwin, D-Greenbrier, offered an amendment that would have required the justices who will stand trial to appear in person before the Court of Impeachment. The amendment was rejected 12-22 along party lines. Sen. Mike Woelfel, D-Cabell, proposed an amendment which would have set the order of the trials based on the numbering of the articles of impeachment. The amendment was rejected on voice and roll call votes 12-22, which were also along party lines. Woelfel withdrew another amendment that attempted to clarify that justices could be called as witnesses. He withdrew the amendment after discussion from Senate Judiciary Chairman Charles Trump. 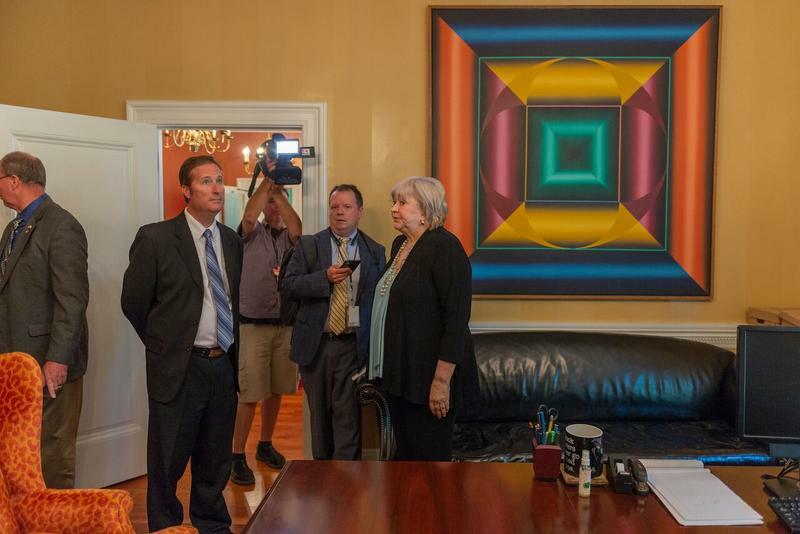 In addition to the adoption of rules, Senate Democrats introduced Senate Bill 2001 Monday. The measure, which calls for a special election to fill any vacancies created by a conviction and removal from office as a result of the impeachment trials, was referred to the Senate Judiciary Committee. Senate Democrats also introduced a resolution that would have shortened the terms of Supreme Court justices from 12 years to eight years. That measure, Senate Joint Resolution 201, was also referred to the Judiciary Committee. According to state code, now that a Aug. 14 vacancy deadline has passed, any vacancies on the bench that come after the deadline would be filled by an appointment by Republican Gov. Jim Justice. With the resignations of Justices Menis Ketchum and Davis, a special election to coincide with the mid-term general election will be held in November to fill the remainder of their terms, which end in 2020 and 2024, respectively. Following the adoption of articles of impeachment last week, House Democrats introduced House Bill 201, which calls for a special election within 120 days of a justice being removed from office by way of conviction in the Senate. That bill was also referred to the chamber’s own Judiciary Committee and House Republicans moved to table an expedited vote on the measure. The Senate adjourned Monday until President Mitch Carmichael calls the chamber back to order.